Product code: R393 Categories: Art Deco, Art Deco Brooch. Here is the most charming and elegant Art Deco brooch that dates from the 1920’s and looks so elegant on any jacket. 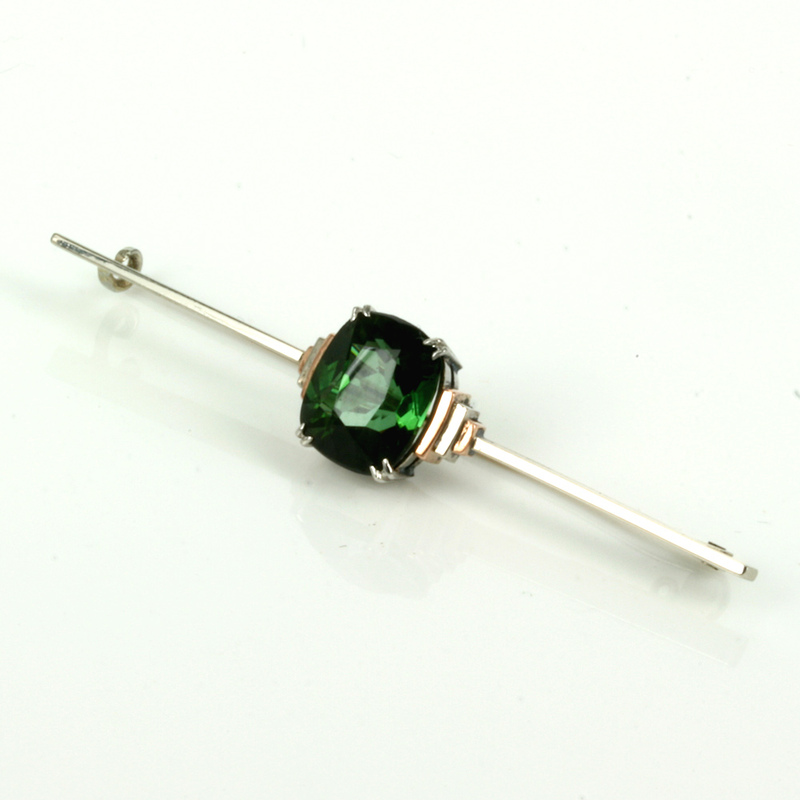 Hand made in 9ct white and rose gold in a wonderful geometric design at the centre where the tourmaline is set, the brooch itself measures 51mm from end to end. At the centre the stepped design looks gorgeous and is what the Art Deco period was all about, lovely angular styles in such a “modern” design. Sitting proudly in the centre is an intense green coloured tourmaline that measures 2.60 carats and looks even more stunning set against the rose gold. Horizontal or at an angle, this Art Deco brooch will always delight and captivate.